College students all over the world are probably deep into their studies of literature of all kinds. Back in the day, as they say, during my college years, what I learned about was the writings of DWM (Dead White Men). Popular reading may not have the cachet of the classics, but I must sometimes agree with the wimpy kid of diary fame who defines a classic as a story about a person or an animal with a tough life, either or both of whom die before the end. 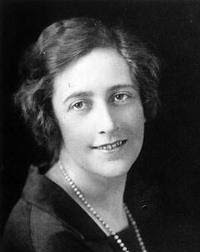 So last week, September 15, was Dame Agatha Christie's birthday. 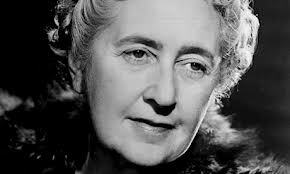 I am glad to be reminded that she is the most-published novelist of all time, having written some 69 novels and 19 plays over a period of 56 years. I thought it would be interesting to talk a little about what she wrote when she was 30, then later on in her career. In 1920, Christie's debut was The Mysterious Affair at Styles. She was working at a hospital dispensary at the time. 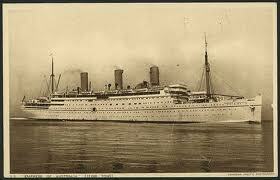 In it, she introduced her most famous character, Hercule Poirot. Captain Arthur Hastings, a soldier who had been invalided out of the army during the Great War that was still ongoing, narrates this book. He has been invited to Styles, a country estate in the village of Styles St. Mary, as a guest of the eldest son of the family. There is a cast of many characters at Styles, so when the matriarch is murdered by strychnine shortly after changing her will, there are plenty of suspects. It just so happens that some Belgian refugees are living nearby, in a house by the gates of the estate. One of these is ex-policeman extraordinaire, Hercule Poirot. It is here, in this first Christie mystery, that this gentleman's peculiarities are delineated: a fanciful moustache, a pedantic manner, comments on little grey cells, as well as patience with Hastings, who is often quite slow to grasp what he is seeing. Christie's Sherlock and two-steps-behind Watson became very popular over the years, as they untwist the skeins of some truly complex murders. It is interesting to speculate about whether Christie's occupation made her interested in pharmaceutical modes of murder. In her first story, she gave ample information about the ways strychnine was used in everyday medicines, which is what made it readily available. In contrast to these classical detective types, Christie soon published three books with entirely different main protagonists. There was The Man in the Brown Suit, which takes place in 1920 but was published about four years later. The main character herein is a feisty young girl raised by a gentle, scholarly father who relied on her for everything. After her father dies, she has made no plans until she is present at the death of a man who falls on the third rail in the subway. A man in a brown suit, claiming to be a doctor, tries to resuscitate the man and then rushes off, dropping a mysterious piece of paper. Our heroine, Anne Beddingfeld, grabs the piece of paper and starts on the adventure of a lifetime. It starts with seeing another murder victim, which eventually leads her on a fantastic voyage by sea to South Africa, and later to Rhodesia. Aside from learning how to surf, she runs from spies, revolutionaries and secret agents who seem to want to kill her. Naturally, the cause of all this trouble is a girl's best friend––diamonds. Anne is an unusual girl for the era in some ways, because she is educated, fearless and intrepid. On the other hand, she longs for romance and all the things others girls of the time want. When she is asked about what frightens her, she responds that only wasps, sarcastic women, very young men, cockroaches and superior shop assistants make her scared. This story is the first of Christie's standalones. 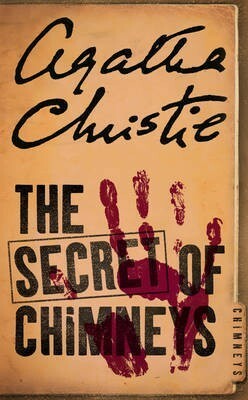 In 1922, Christie began a series featuring Tuppence and Tommy Beresford, intelligence agents in England. A few years after that, she began a trilogy with The Secret of Chimneys featuring a Scotland Yard detective. It begins with the story of the adventure-loving Anthony Cade who, tiring of his job as a travel guide, leaves it to carry some important papers to London and then to the Chimneys estate. The papers are the memoirs of a Count who had his fingers in many political pies, and it is feared by different parties that these writings may reveal secrets dangerous to many in government circles. Anthony becomes a target of both governmental agents and villains of other sorts and the fun begins. 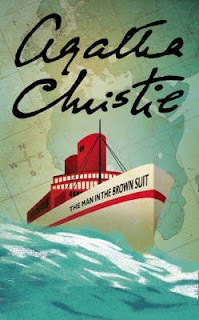 This series pokes a bit of fun at the more serious spy thrillers of the era, as Christie portrays the aristocracy, the police as well as butlers in a stereotypical humorous fashion. The main policeman in this series of three is Superintendent Battle of Scotland Yard and he uses as his cohort Bundle Brent, a no-nonsense daughter of the Chimneys family. Christie writes these Battle-and-Brent books with a light touch and quick pace, introducing us to amusing characters and a little bit of romance. These are very different from Christie's better-known Miss Jane Marple and Poirot series, but very likeable. When The Secret of Chimneys was translated to TV, however, Jane Marple was used as the central character. Jane Marple was introduced in 1930––10 years after Poirot and six years after Superintendent Battle. The Murder at the Vicarage was the first of the series, in which Jane Marple was introduced as a knitting, grey-haired elderly woman who has a keen eye for the variations of human behavior and a nose for the evil that lurks behinds the facades of seemingly ordinary villagers. She is well portrayed on film, but the overwhelming feature that I noticed in some screen adaptations is that poor Jane is frequently given only one hat that she wears for gardening, visits to neighbors and even funerals. I have been tempted to take up a collection for a new one. There is not much change in the Jane Marple character over her lifespan, except in the development of her nephew's progression in his writing career. She often bursts his balloon in the early days but, as he becomes more well known, he is able to send her on voyages (A Caribbean Mystery) and local trips (Nemesis). Nemesis was written in 1971, toward the end of her career and it was the penultimate Marple story. Poirot also remains much the same, except that he has more aches and pains and takes more tisanes. But his little grey cells still work. Christie was reportedly very tired of this character (so was I), and she made his foibles a little over the top. Hastings, who was once much younger than Poirot, doesn't appear that way by series end. She also uses another frequent character in the Poirot stories, a writer of mysteries called Ariadne Oliver, who writes about a depressed Finn from a country she knows little about, in her books. Mrs. Oliver frequently bemoans the fact that her publisher won't let her kill Finn off. Is this a thinly-disguised version of Christie herself? 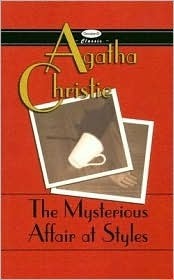 The non-series books are where I found the main changes in the Christie stories over the decades. By the end of World War II, Christie had seen much of the world, since she was married to Max Mallowan, her second husband, who was an archaeologist. 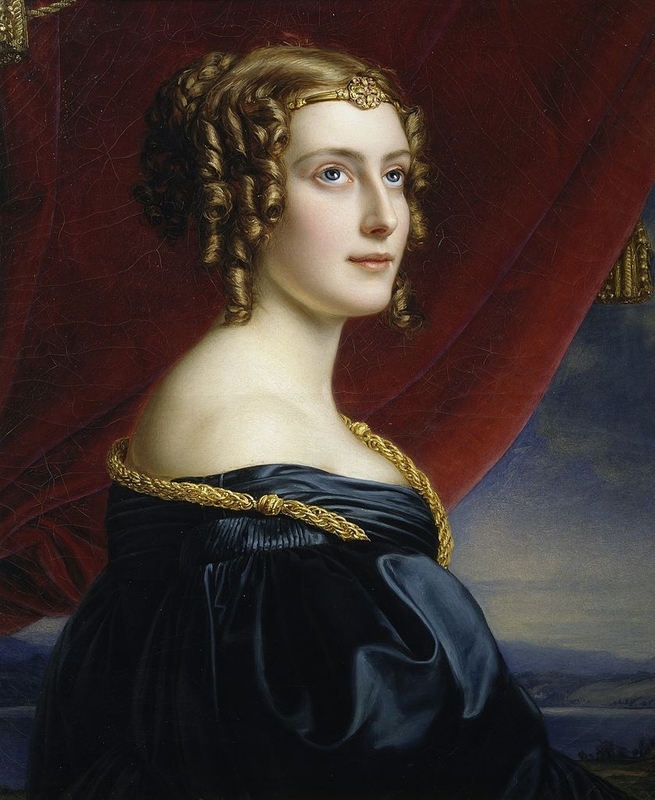 She incorporated exotic locations in many of her books. 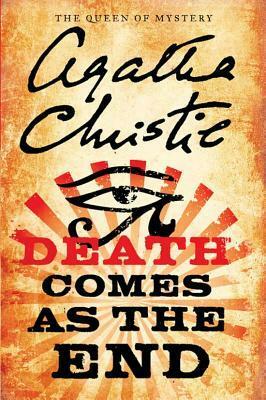 But in Death Comes as the End, written at the midpoint of her career, the story is set in Ancient Egypt. It is about Renisenb, who has been recently widowed, and has returned to her father’s house. He is a wealthy landowner and priest who recently married Nofret, a young, manipulative concubine. Now, the home is not the peaceful oasis Renisenb remembers. Then, Nofret ends up dead at the foot of a cliff. Evil from within, compared to evil from the outside, is the main theme. Christie used this theme more as the years passed. In Death Comes as the End, the characters are interesting, but not always consistent. The main Christie-like feature was that I thought I knew who the murderer was––until, one by one, my main suspects were murdered and the only one left standing had to be the guilty one. 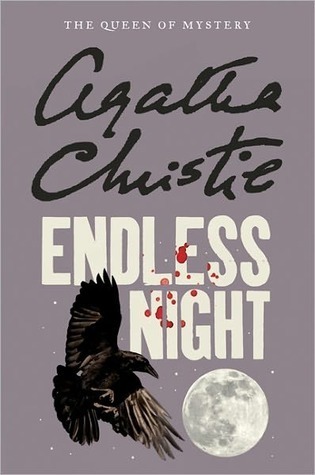 Twenty years or so later, Christie wowed many with the psychological thriller Endless Night that builds slowly from a gypsy curse to a creepy non-traditional shocker. Just telling the story may give it away. Evil is personified once again. 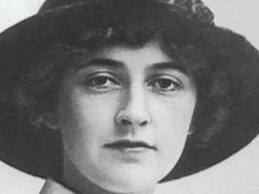 So if you have read all the Marples and Poirots, take a chance on the other wonderful and different mysteries that Agatha Christie has dished up to us. Many are free on Kindle and there are new editions published all the time. William Morrow, a division of Harper Collins, is releasing most of these books in a very nice trade paperback edition that enticed me to pick up several of the non-series books and the Inspector Battle books. One thing is for certain: the villains in all of Christie's books, plays and short stories meet their nemesis when they encounter any one of Christie's poking, prying protagonists. Nemesis, in Greek mythology, is the avenger of crime and the punisher of hubris. Christie's plotting, intricate and delightful, stands the test of time. If I have to pick a favorite character it would be Miss Jane Marple, but there are several non-series books that I have yet to read. Lucky me. Thanks for this wonderful reminder of Christie's work. You mentioned a few I may not have read - I'll have to check Stop You're Killing Me for her non-series books. 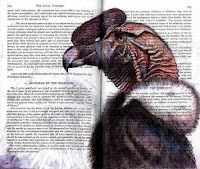 That is just the place to look for books you looking for. You will find a great selection.